Join Clare-Mar Lakes Campground in Lorain County, Ohio for All Kinds of Spring and Summer Activities! Finding spring and summer activities that the whole family will enjoy can be difficult. However, those who have had the opportunity to spend time at Clare-Mar Lakes Campground know that’s exactly what this locally owned facility offers. Year after year, this Ohio campground opens the gates and invites individuals from all over Ohio, including but not limited to Cleveland, Ohio; Medina, Ohio; Strongsville, Ohio; and beyond to partake in a variety of fun and interesting events. And the same will hold true for 2015! After the official opening of this Lorain County, Ohio facility on May 1st, guests will be able to take advantage of holiday parties, live music, charity dinners, and even a murder mystery potluck! 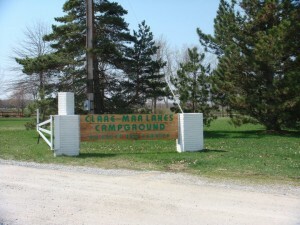 Whether you’re looking to take a long vacation or you’re just interested in a weekend rental, seasonal camping at Clare-Mar Lakes Campground will prove to be an experience your family will remember for years to come!